Do you have what it takes to finally bring this war to an end? 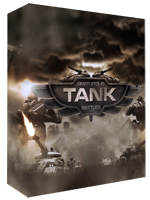 Gratuitous Tank Battles is a feature-packed hybrid of Tower-Defense, Real-Time-Strategy and simulation games. Download immediately and roll your tanks, troops and mechs across europe! Note that you can easily re-download your game, at no cost at any future point if you switch computers, and do not back up your files. If you prefer, you can use paypal or amazon payments on the order form. We do *not* store your payment details, and it is absolutely safe. If you have any problems at all with placing your order email cliff@positech.co.uk and I will sort it out personally. Ever wanted to battle through the second world war with lasers and mechs? This expansion pack for Gratuitous Tank Battles adds 8 new maps, 5 new components and 16 new unit hulls based on real WW2 tanks such as the Tiger, the Panther and the Sherman.make General patton proud by rolling your tanks east towards Berlin. Currently only available on the PC.